The opposition Peoples Democratic Party, PDP, has stated that it is fully behind President Muhammadu Buhari in the ongoing fight against Boko Haram insurgency in the North East. ​The spokesperson of the party, Olisa Metuh, made the disclosure at the PDP National Secretariat, Abuja on Friday when he received a delegation from the Northern Youth Network, NYN, who paid him a courtesy call. 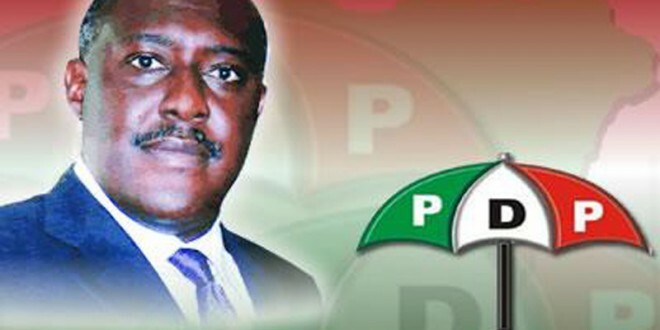 Mr. Metuh, while responding to a comment by the leader of the delegation, Mike Msuaan, that the APC-led government had apparently failed to fulfill its promise of ending insurgency, said the PDP deliberately refused to criticize the APC on its promise to end insurgency within a specified period. “We are completely in support of the government in the war against insurgency,” he said. The PDP spokesperson said the decision to support the government on the fight against insurgency was hinged on the fact that “the insurgents were not just fighting Buhari, APC or PDP but all Nigerians”. “We must send a message to those trying to divide us that we are united and remained one in the fight against insurgency,” Mr. Metuh said. He however said the PDP would continue to criticize the government constructively “where they go wrong”. The spokesman said while the PDP was in power, it gave all Nigerians a sense of belonging. “God brought us together; no man can tear us apart,” he said.